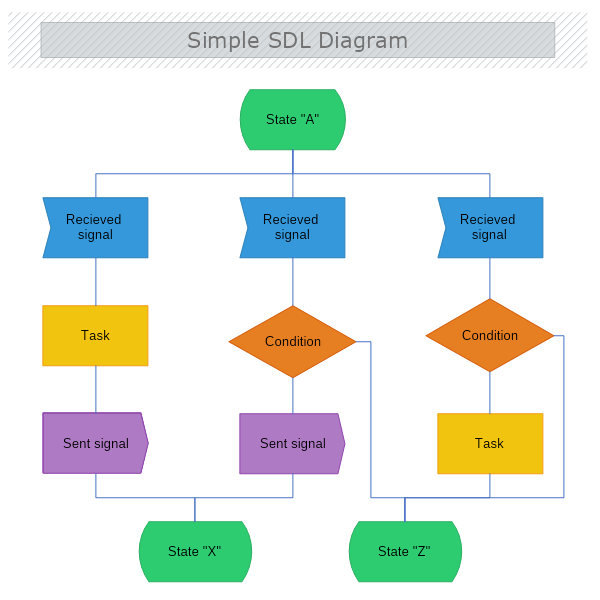 This is a simple SDL diagram template. This template illustrate a sample SDL process and number of possible steps within a process between 3 different states of it. Download this free template and modify it with MyDraw so it meets your needs and requirements.